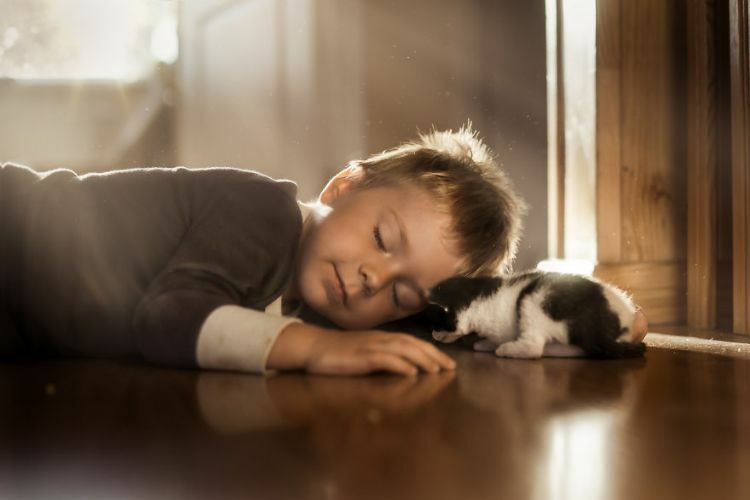 Iwona Podlasińska is a photographer who started out taking photos of her newborn son. After this hobby began, it turned into a passion and a career that Podlasińska still practices today. She even has her own website where she posts her photographs. 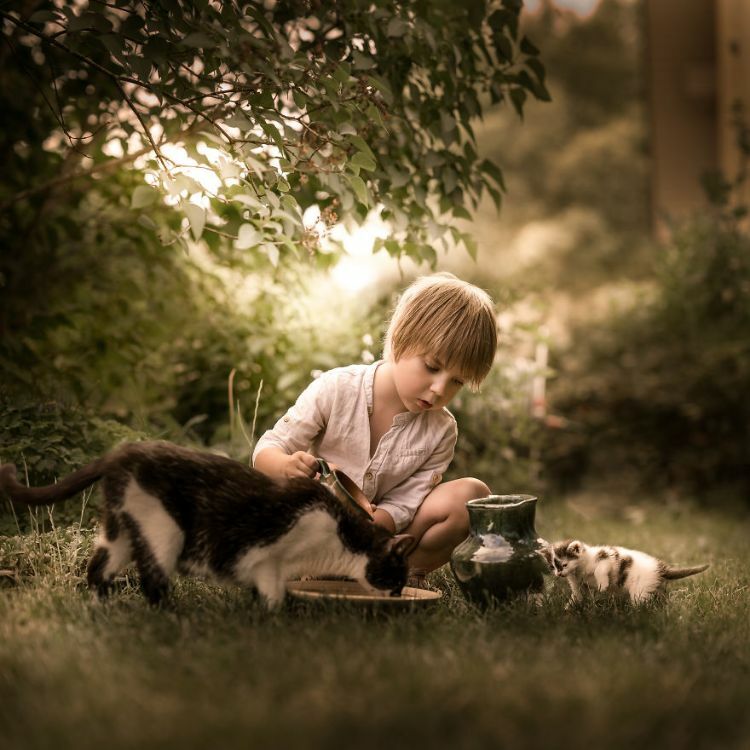 But her talent really began to soar when she started taking pictures of her young son and his cats. Podlasińska says most of her family's cats are afraid of children, but for some reason, they aren't skittish around her youngest son. She thinks this probably has something to do with the fact that he is so gentle and patient with them. As such, she knows she must be the same way in order to get these magnificent shots. 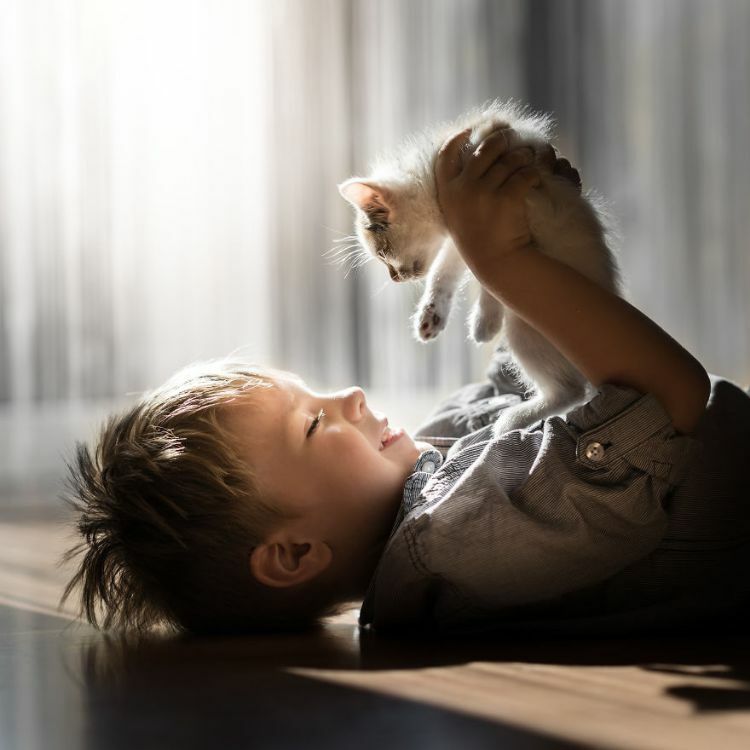 "For a photographer, it's extremely difficult to take photos of children and cats because neither of them is willing to pose. The secret of these photos is patience and observation." She says she always has her camera ready in order to capture the "most magical moments of this beautiful bond." Podlasińska says that capturing these moments with her camera has given her a new perspective. "I started noticing the small things that surround me but didn't pay much attention before." 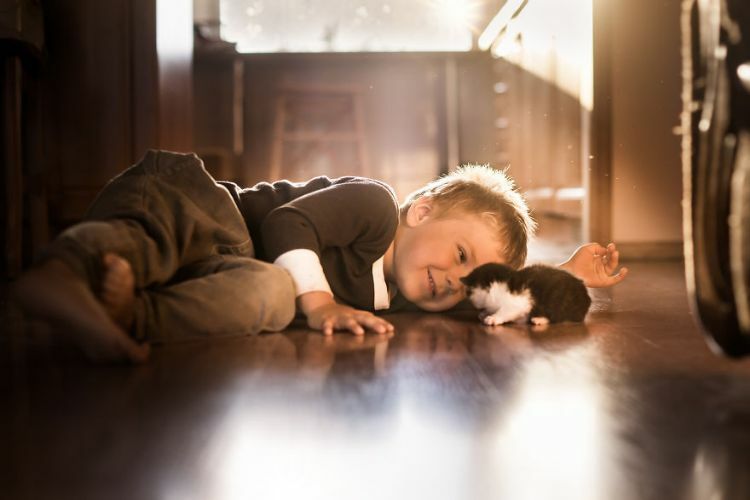 Now, she is able to notice life's small yet extraordinary moments, like this one between her son and an adorably tiny kitten, and capture them for all the world to see. Podlasińska was Flickr's most popular photographer in 2017 and has won multiple awards and international contests for her work. 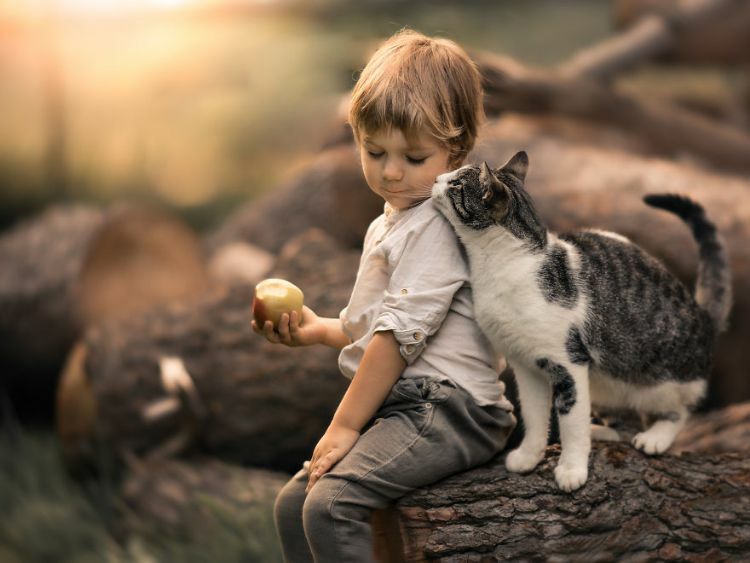 Fans love the way she is able to capture the whimsy of childhood in her photographs. 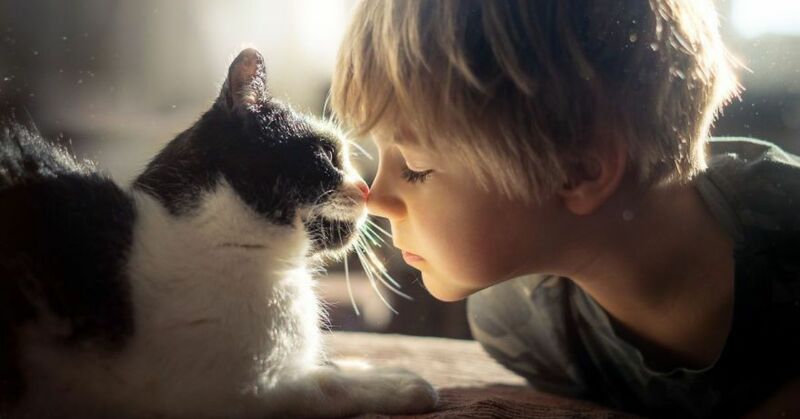 The beauty of these rich yet everyday images that illustrate love and trust between a child and his pets is what makes her photography so unique.